Our Michigan medical malpractice lawyers file lawsuits against Veterans Administration Hospitals (VA Hospitals) and their physicians on behalf of both patients and their families. Veterans from all branches of military service turn to VA Hospitals for medical care and treatment. Who is Eligible for VA Health Care Benefits? A person must have served in the active military, naval or air service and separated under any condition other than dishonorable to be eligible for VA health care benefits. The minimum duty requirements are that veterans who enlisted after Sept. 7, 1980, or who entered active duty after Oct. 16, 1981, must have served 24 continuous months or the full period for which they were called to active duty in order to be eligible. The minimum duty requirement may not apply to veterans who were discharged for a disability incurred in the line of duty, for a hardship or "early out". Current and past members of the Reserves and National Guard who were called to active duty (other than for monthly drills or annual training) may also be eligible for benefits. The VA determines the minimum requirements when the veteran enrolls for VA health care benefits. 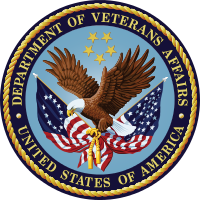 To apply for entry into the VA health care system the veteran must complete a government form, known as the Application for health care benefits. If qualified, the veteran will receive a VA Health Identification Card that can be used at all VA hospitals and facilities. Medical malpractice, often called medical negligence, is the term used to describe a medical error or mistake committed by a doctor or other medical professional that resulted in bodily harm or death. Medical malpractice occurs when a health care provider improperly treats a patient or performs treatment in a negligent manner. This would include when a physician or hospital fails to diagnose and treat a serious condition or disease, when a condition is misdiagnosed. or when improper treatment is performed. The laws for filing Veterans Administration Hospital medical malpractice cases are different than typical medical malpractice cases against hospitals and doctors. To file a lawsuit against a VA Hospital or physician, the case must be filed under the Federal Tort Claims Act. This law has special requirements and provisions that must be met, which includes sending out a Form 95 to preserve the claim. The failure to satisfy these legal requirements may destroy your case. If you believe that your or someone you care about is the victim of medical malpractice at a Veterans Administration Hospital or VA clinic, you should call our law office immediately. Our medical malpractice lawyers will start working on your case immediately to make sure that all of the required procedures are being followed to bring your case. If you are or a loved one was the victim of medical malpractice at a Veterans Administration Hospital or clinic, you may be entitled to compensation. Call our award winning lawyers today at (800) 606-1717 and an attorney will be available to speak with you about your case. We do not charge any legal fees until you receive your settlement. It will cost you no money to hire our law firm and we only receive a fee at the end of the case. Federal law sets the amount of the attorney fee for your case. There is nothing to lose, so call our team today!